Focus - to concentrate on something and play particuliar attention to it. This is a downloadable mp3 podcast with Tricia Exman. Can you see when and where fear reigns in your life or the world around you? It is important to comprehend that fear is a force. It is real, tangible energy. It is destructive. It holds disease and death in its grip. Behaviors motivated at any level by fear have fear attached to them and actually generate fear in others. This isn't just hyper-sensational, emotionally heightened gibberish. It is Biblical and it is science. 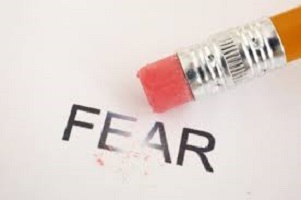 Understanding what causes fear and how it operates is possibly the single most powerful overcoming tool to have in your arsenal.